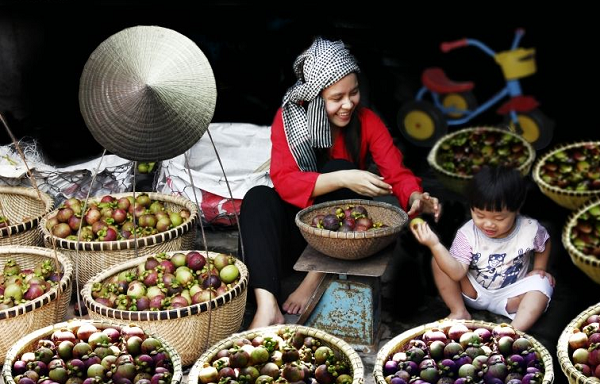 Located in Binh Duong province, approximately 20 km north-east from Ho Chi Minh city, Lai Thieu orchard is a heaven of tropical fruit in Southeast region of Vietnam. The fanciest activity for the tourists is that they can select and pick fruit from trees by themselves then enjoy the fresh and delicious fruit right at garden with a very reasonable price. This orchard is a homeland of various typical kinds of tropical plant such as mangosteen, rambutan, mulberry, lichee, durian, etc. The locals are very nice and friendly, almost of them are gardeners and fruit vendors, they are always willing to give you some guidance how to choose the best fruits. You can easily to take a taxi or a touring car to get to this area then take a tour around the Orchard. There are several beautiful villages lying inside Lai Thieu Orchard, you can walk along the small paths and bridges linking the villages and enjoy fresh atmosphere and countryside landscape. If you need a rest when traveling around the garden, there are some chairs and hammocks hung on trees for you to lie on and have some delicious fresh fruits. The best time to travel in this tropical garden is summer, from June to end of August thus you can taste the best ripe fruits. You can also visit Lai Thieu in the middle of January when Ba Pagoda Festival in Binh Duong province is celebrated with various traditional activities. 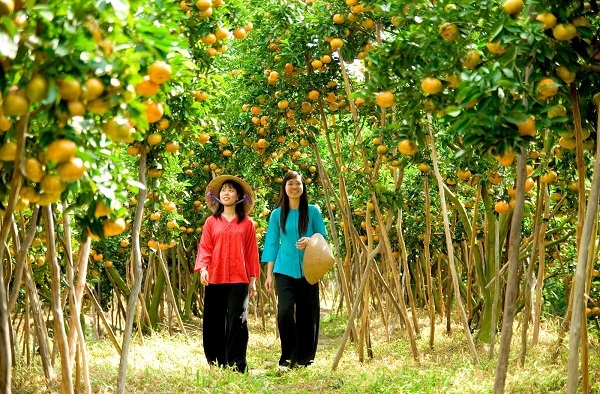 Annually, Lai Thieu Orchard welcomes thousands of tourists. If you are a fan of nature, do not miss a chance to visit and discover this green and peaceful land.